Alumni Spotlight: Deborah Kuhn, Ph.D.
TAMPA, Fla. -- Every student comes to the University of South Florida with a path, and Deborah Kuhn easily figured out where her path would lead. 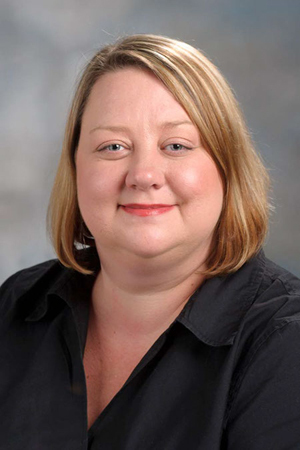 After earning her bachelor’s degree in biology, Kuhn learned that USF has begun a cancer biology doctoral program and immediately applied upon finding that many of the professors were affiliated with the H. Lee Moffitt Cancer Center. When Kuhn began contemplating graduate school, she wanted to do something that would make a difference. Kuhn recognized that cancer is a disease that touches nearly every individual in the world in one way or another, and she wanted to help change that idea. “To play a part in helping to find a cure, even if it is a very small part, inspires me every day to keep working and stay motivated,” Kuhn said. Kuhn credits USF for making her transition to her current job an easy one. “Most of the faculty that I interacted with at USF are dedicated teachers and researchers that have the time to answer questions after class about the material or offer career advice if asked,” Kuhn said. Now, Kuhn works at the M.D. Anderson Cancer Center in Texas. She wanted to work there because it is the No. 1 cancer center in the United States. M.D. Anderson is located within the Texas Medical Center, which houses the largest collection of hospitals, clinics, and basic and transitional research laboratories in the world. Kuhn added that when she received an offer to continue her studies at M.D. Anderson, she jumped at the opportunity. In her few short years of research, she already has found that her efforts have directly impacted cancer patients because she focuses on transitional research that helps bring new drugs into the clinic for the treatment of cancer. Kuhn offered some advice for students entering USF. “My advice for future students at USF is to study hard, but save time for fun,” Kuhn said. She also said that students should take time to talk to your professors and not be afraid of asking for help.